While armchair bracketologists begin pretending to understand college basketball and sinking workplace productivity, the Air Force men’s hoops team will be taking a long road trip to begin play Wednesday in an unheralded postseason tournament. After the NCAA selects its 68 teams and the NIT grabs 32, the folks at CollegeInsider.com choose 32 teams for their event, which begins Tuesday and runs through an April 2 title game that will air live on the CBS Sports Network. Home teams reportedly pay about $35,000 for the right to participate, with road teams receiving some money to help cover travel costs. The Falcons (17-13) could use any cash they can get — while fans of NCAA tourney-bound teams may complain about ending up in a regional bracket a time zone away, Air Force is off to Hawaii to face the Rainbow Warriors (17-14). Both teams were knocked out of their respective conference tournaments in the first round, but while Hawaii hasn’t won since Feb. 28, the Falcons ended their regular season with an 89-88 win over then-No. 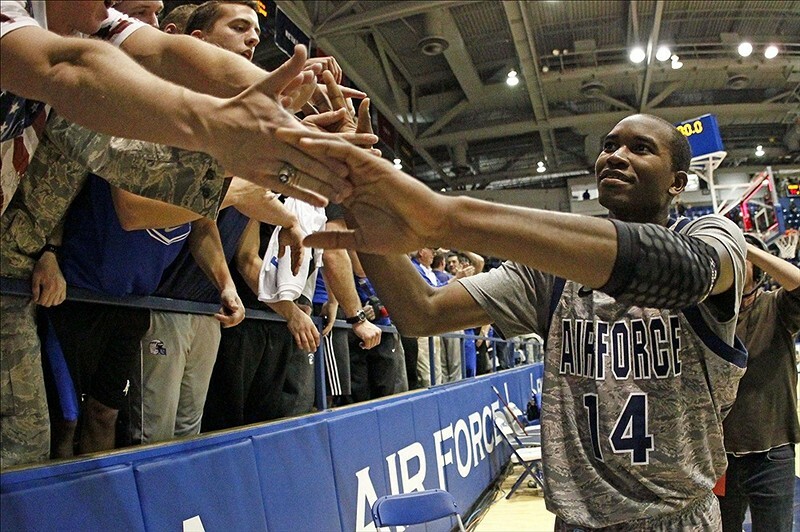 12 New Mexico, the highest-ranked opponent Air Force has ever defeated. Unlike the better-known tournaments, the CIT doesn’t use brackets until after the first round. That gives organizers a chance to create second-round matchups based on low travel expenses and fan interest, although it creates uncertainty for Air Force fans. The full slate of CIT action is here. Air Force’s tournament announcement is here. A (Colorado Springs, Colo.) Gazette article on Air Force’s 2011 appearance in the CIT, which reportedly cost the school almost $18,000, is here.